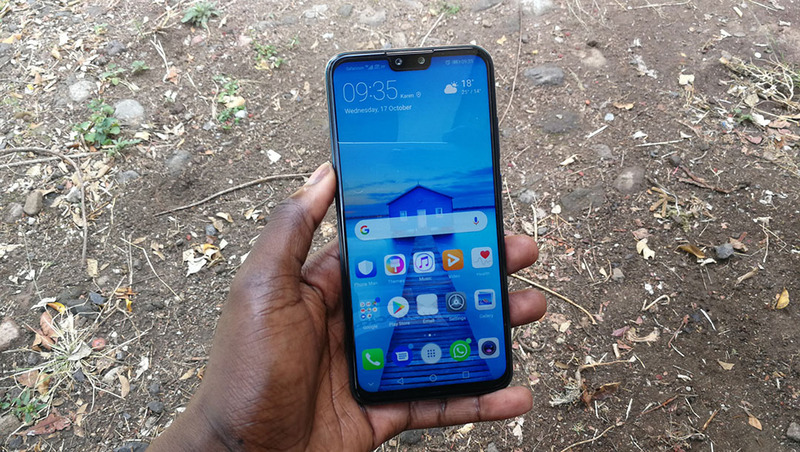 The Huawei Y9 2019 has finally made its way to Kenya. The phone is currently on pre-order on Jumia for Ksh 25,000. The Y9 joins the Huawei Y5 Prime and Y7 Prime from earlier this year. The Y9 Prime 2018 competes directly with the OPPO F7, Samsung Galaxy J6, Tecno Camon X Pro just to name a few. 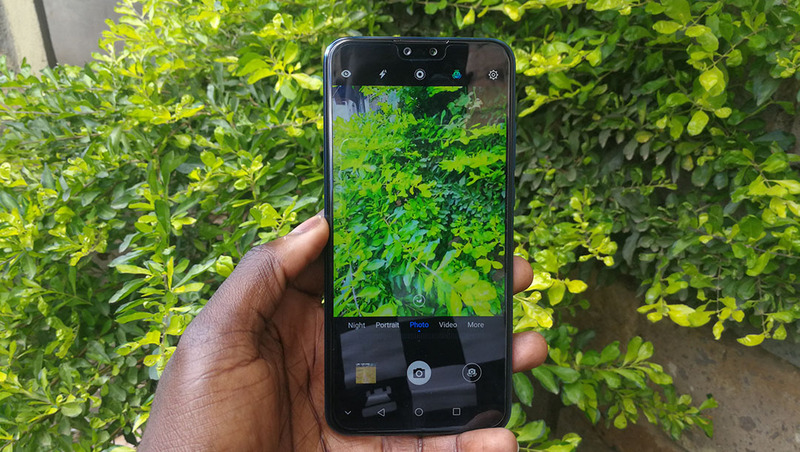 The four main selling points of the Huawei Y9 2019 include the 4 AI cameras, two at the back and two in front, the massive 6.5-inch display, the 4000 mAh battery, the 4GB of RAM and 64GB of internal storage space. So, what is the Huawei Y9 2019 offering? Before we get into the phone, let us look at some of its key specifications and features. Taking out the Huawei Y9 2019 out of the box, the first thing I noticed is how big it is. I have used the Huawei Y5 and Y7 Prime 2018 smartphones and the Y9 2019 dwarfs both of them. I got the sapphire blue one that looks stunning. It is shiny and is a fingerprint magnet but that can be avoided by using the free back cover that is provided inside the box. Still on the back, this is where you will find two cameras (13MP and 2MP). These are AI cameras and they pretty much help in optimizing the settings to capture the best shots all the times. When activated, you can just point it on an object and the camera will detect what it is and optimize the settings. You can disable the AI mode if you do not like it. One thing I have noticed with the AI feature is that when activated, it tends to add a lot of colour to the photos in some situations and I end up with photos that are unrealistic compared to what I can see in real life. This does not happen all the time and is mostly the case outdoors under direct sunlight. Overall, the photos takes with the front and back cameras are good. The AI option is something I am still getting used to but everything else works fine. The fingerprint scanner at the back is easy to set up and works all the time. You can use the fingerprint sensor to unlock the phone, answer calls, stop the alarm, bring down the notifications panel and a few other things. 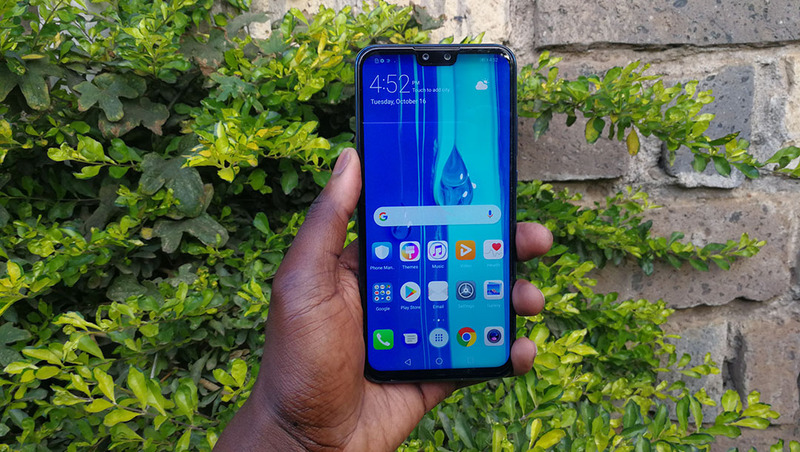 The Y9 2019 also comes with Face unlock as a biometric option. This is also easy to set up and works as long as the lighting is good. It also works even when I am wearing glasses and is very accurate I have to say. The 6.5-inch display is just a delight to look at. It’s highest resolution if FHD+. Since leaving it at the highest resolution can be aggressive on your battery, Huawei has included the ‘Smart resolution’ setting where you let the phone decide the resolution for you and change that over time to conserve the battery. With this, I do not have to manually keep changing the resolution all the time. Above the display is the dreaded notch that you can hide if you do not want to look at. 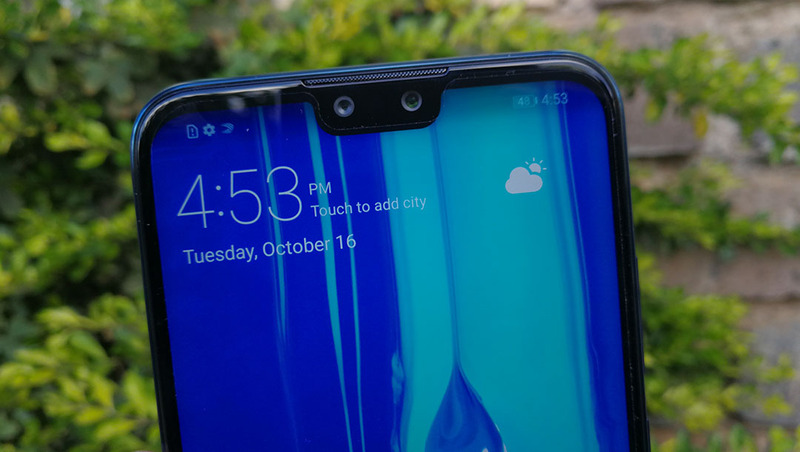 If you are one of those people who hate the notch, this option may be useful for you. Below the display are the navigation keys that you can rearrange to your preference or even hide them altogether if you have to. The display itself is very bright even under direct sunlight. It is massive and this is perfect for those who like watching movies/videos on their phones. Under the hood, the Huawei Y9 2019 is powered by the new Kirin 710 processor from the company. This is paired with 4GB of RAM and 64GB of internal storage space as standard. This is enough for more people but you still have the microSD card slot if you want to expand the space. I will dive deep into the performance aspect of this phone in my full review. 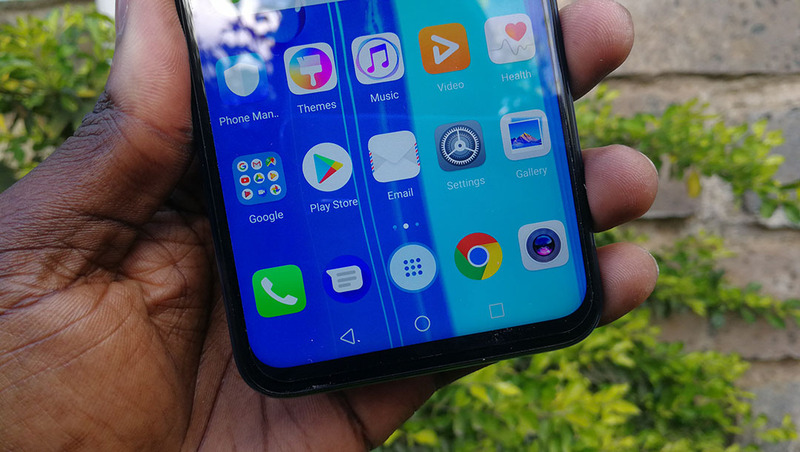 From the few days I have spent with the Huawei Y9 2019, it does stand out in a way. It is huge and looks stylish thanks to its unique colour options. The display is just good to look at under different lighting conditions. The cameras are good but I am still not sure about the AI features and how exactly they work especially for the front facing camera. I will be using this phone for a few weeks and have the full review then. 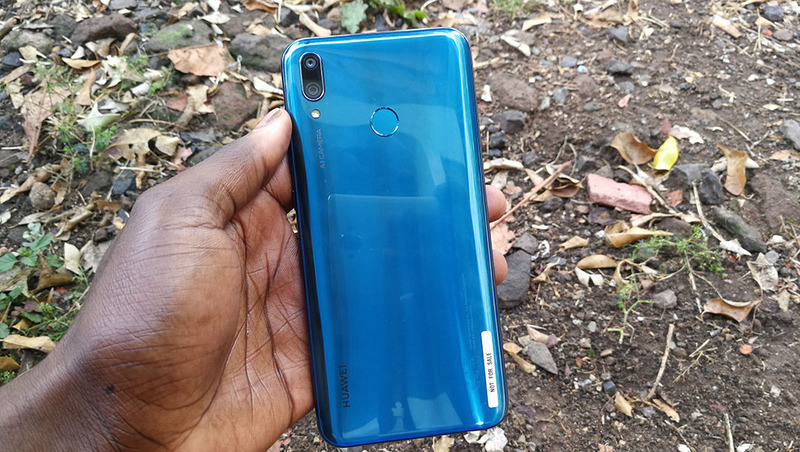 Hey Buddy!, I found this information for you: "The Huawei Y9 2019 Unboxing and First Impressions". 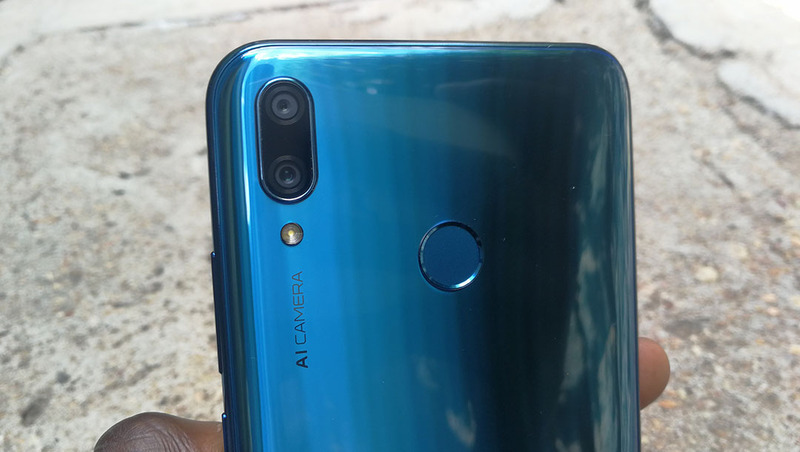 Here is the website link: https://www.techarena.co.ke/2018/10/18/huawei-y9-2019-unboxing/. Thank you.